The price includes one chair. Another fantastic addition to our vintage seating collection. 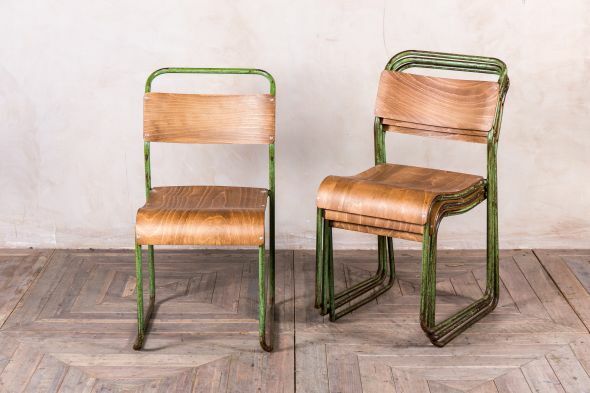 These industrial stacking chairs feature a tubular steel frame with dark, army green paintwork and a plywood seat. 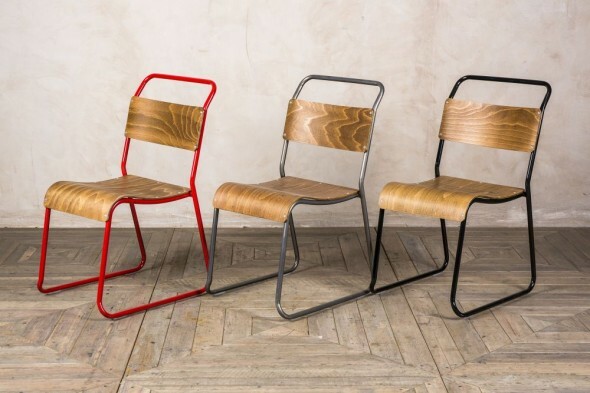 The practical nature of these chairs makes them an extremely popular choice of seating for businesses; the chairs can be easily stacked and stored when not in use, or piled up at the end of the day to allow floors to be cleaned. 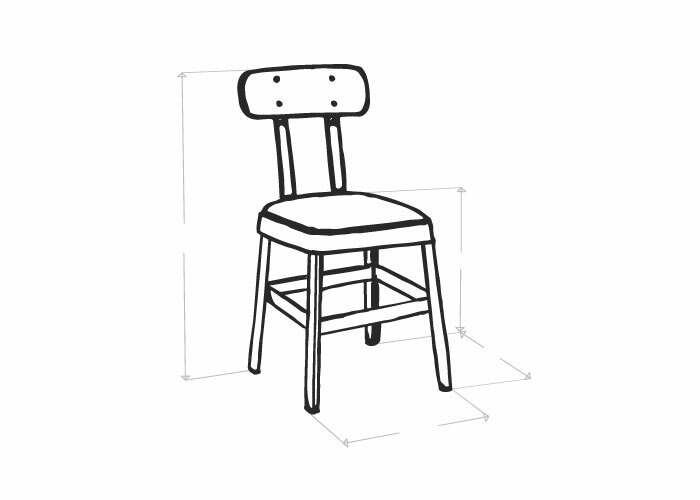 The price is for one chair, but we do have more available. 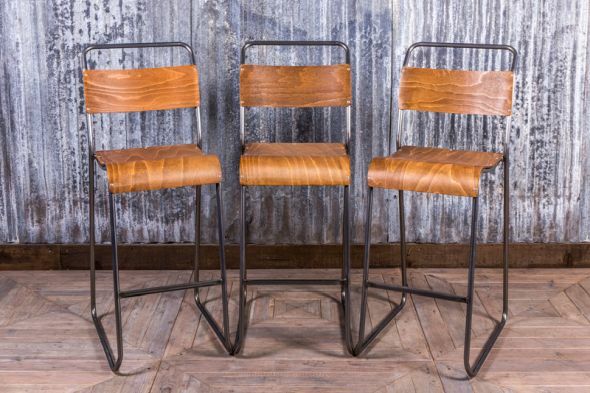 Although these chairs are all in good condition, they will have marks of wear and tear consistent with their age.